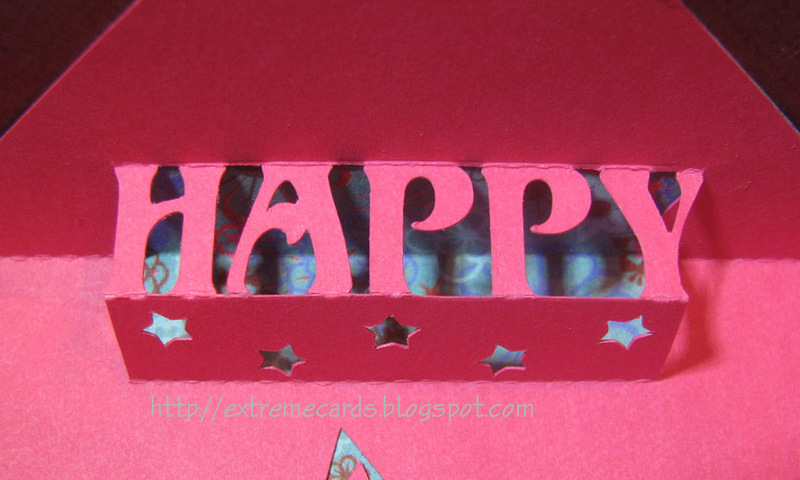 This birthday card was inspired by a save-the-date pop up card from Pounding Mill Press. 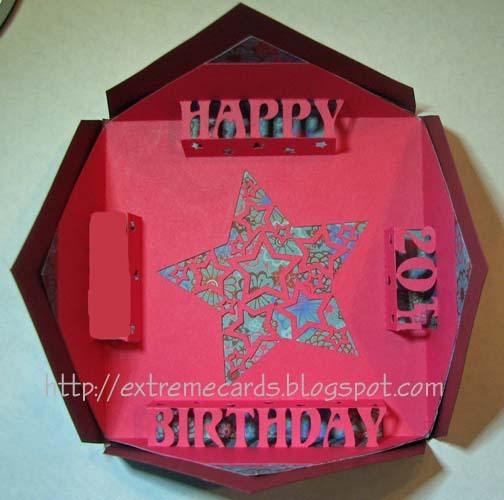 The star cutout in the center is a free download from Birds Cards. Check out her other designs here. My card had the recipient's name on the left (removed) and the number on the right. 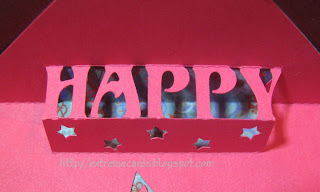 The downloadable template has no words on the side pop ups, and the stars are on the tops rather than on the uprights. If you want to put words on the sides, the font I used was Unicorn from dafont. Download and cut template PDF or DXF. Score card and pop forward the four pop ups. 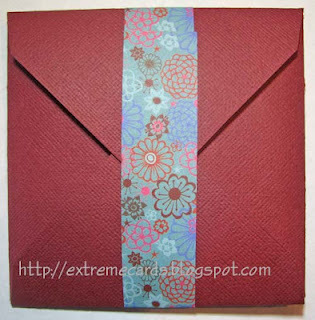 Fold the four corners to the center. 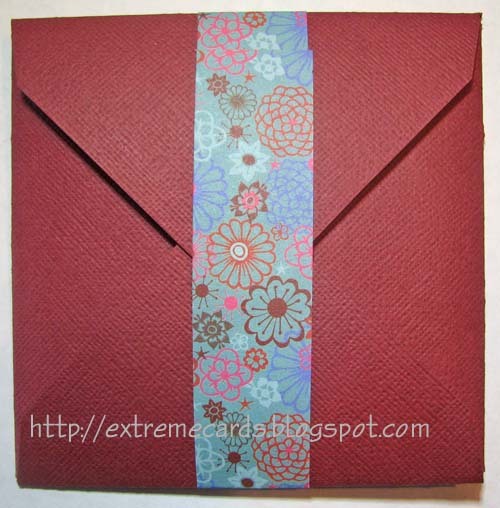 The card wants to pop open, so hold it closed with a belly band.